A little Asian flair for your weekday. Stir Fry is super simple (aside from all the vegetable slicing). Just throw some oil in a pan, get it nice and hot. Add meat, add veggies, and cook till slightly tender (but the veggies should still be a bit crunchy). Bam. Stir Fry. Stir Fry is like, one step above a casserole for me. Meaning that I like to take any random vegetables that I have leftover and use them for this dish. Who cares if those veggies are not traditionally in stir fry?! Do what you want! Add beef, toss around in the oil a little. Add vegetables (excluding scallions) and toss. Add rice vinegar and soy sauce, toss some more. Add ginger, garlic powder and red pepper flakes, toss. Remove from heat when meat is cooked and vegetables are a bit wilted (but still crunchy.) Set aside on a plate or bowl. Take the same skillet and leave on low heat. 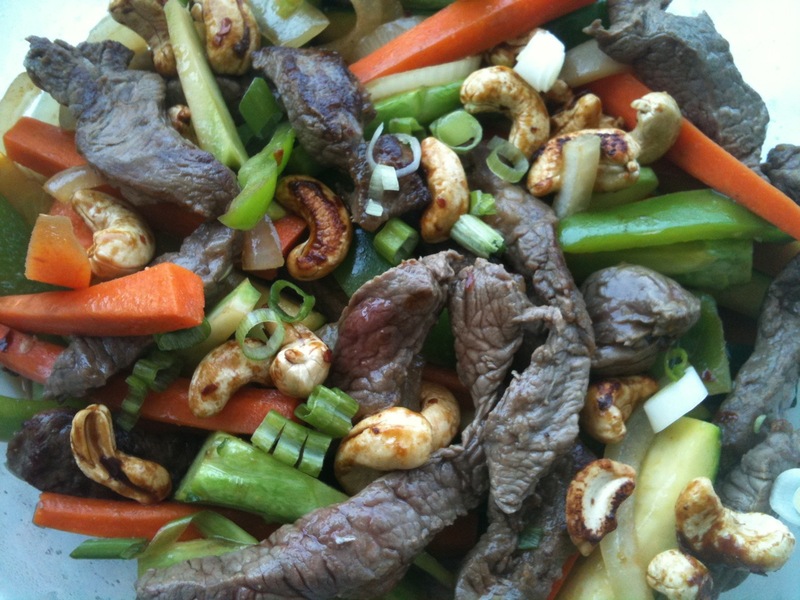 Add cashews and toss in remaining sauce until they get a bit toasted and coated with the soy sauce mixture. 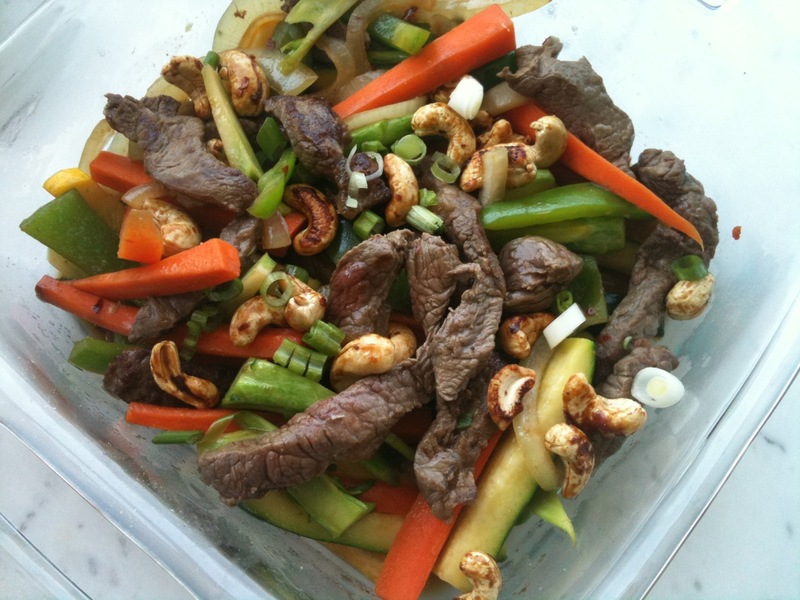 Top the stir fry with the toasted cashews and scallions. this would be great with some crispy shiitake mushrooms. Just slice thin and toss with tamari and coconut oil and bake for 15 – 20 mins until crispy. Avocado… you know what to do. For a more PALEO sauce, go for a Thai inspiration! Lime juice, fresh ginger, almond butter, sesame oil, cilantro, and basil!